You do all modifications at your own risk. You can easily brick your card. This tutorial is for advanced users! I am not responsible for damage you can do to your card! 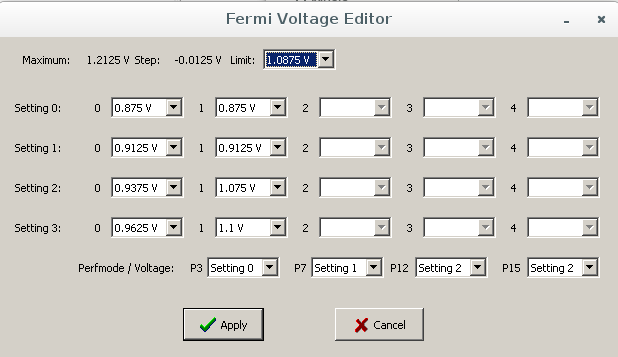 It can work for other Fermi cards, but it's not guaranted! 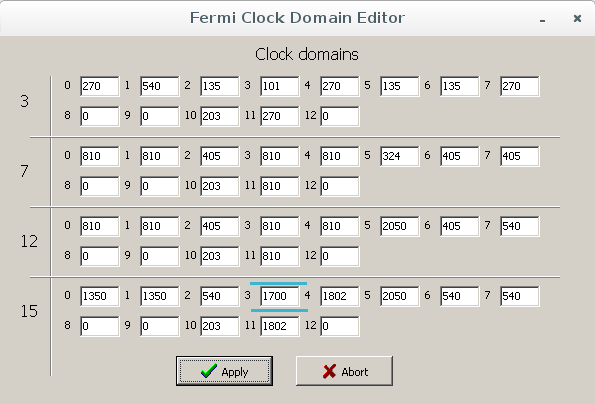 Today I am here to tell you, how to overclock your Fermi based GeForce card.This tutorial is written for MSI GeForce N460GTX 1GB OC edition! You can change some values according to your card, but it's a risky. 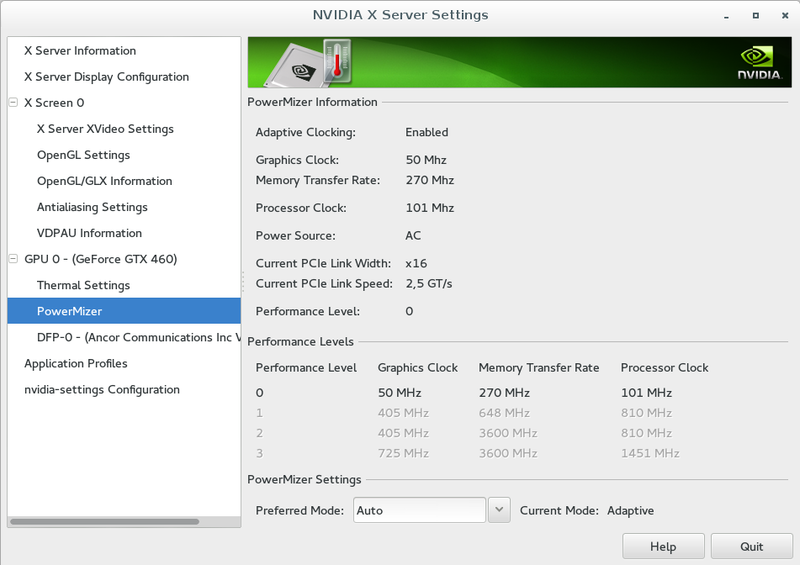 nVidia didn't provide support for overclocking in Linux. The only option is to modify the BIOS of graphic card. I am going to explain this mod on my MSI GeForce N460GTX 1GB OC edition. Now you can restart your computer and boot your Linux. It's time for modify your BIOS. Make sure you have your BIOS backuped! Run NiBiTor (with wine works perfect) and open your BIOS file. 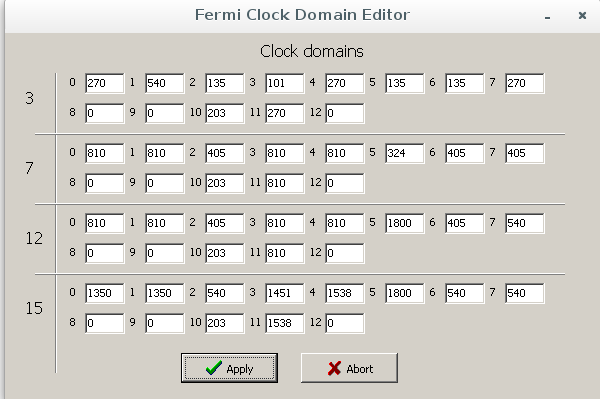 Now go to Tools->Fermi Clocks. This screen is a bit tricky. This thing works only for GF104, GF110, GF114 cores. GF100 is a bit different. Line 15, Tab 5: Memory frequency, mine is in nVidia reported as 3600MHz, here is 1800. Line 15, Tab 3: Shader frequnecy. Line 15, Tab 4: Bumped shader, calculated from Shader frequency. Here is used multiplication!!! 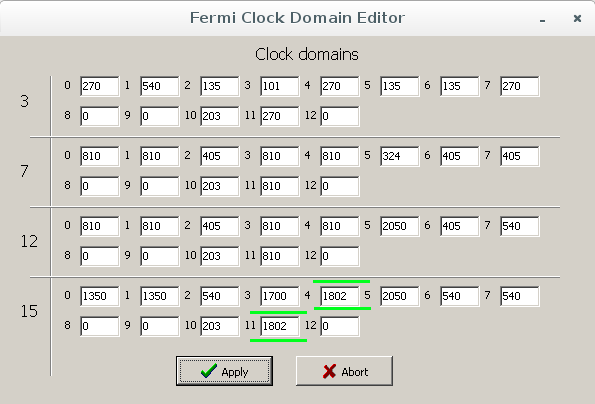 So now, set Line 15, Tab 4 and 11 as 1802. When asks, say "y". After all is done, reboot your computer and check your new overclock. 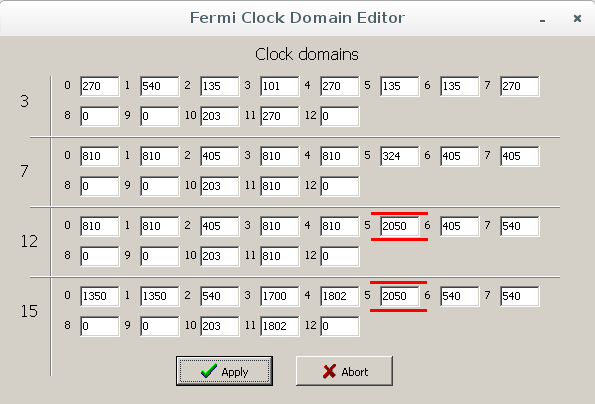 Wait about 10 seconds, pres "y" and hit Enter. After 30 seconds, reboot your computer. 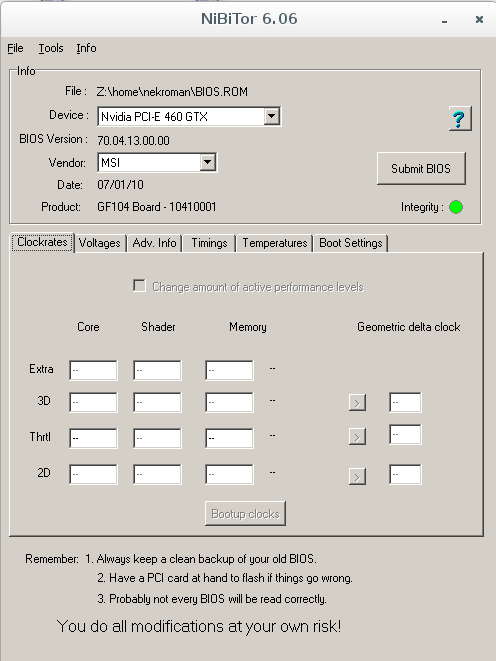 Your old BIOS should be resotred. If it's not working, take your card to your friend, who has two PCIe slots, plug it in second slot and flash your BIOS using his card for display. Here is my original BIOS file and modified. 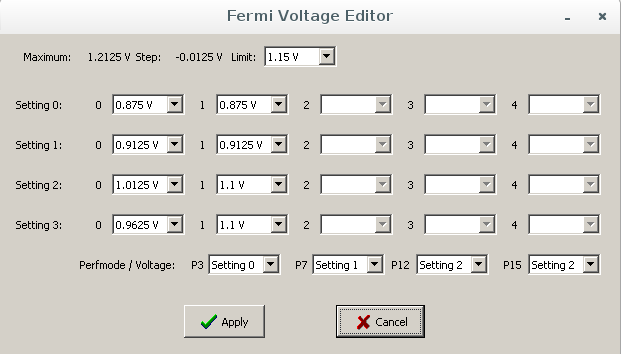 If you have different Fermi based GeForce, you can experiment with values, but you can make your graphic card unusable if you set your frequencies too high. Try to google first some safe frequencies and always use your brain.